I love following our site stats. 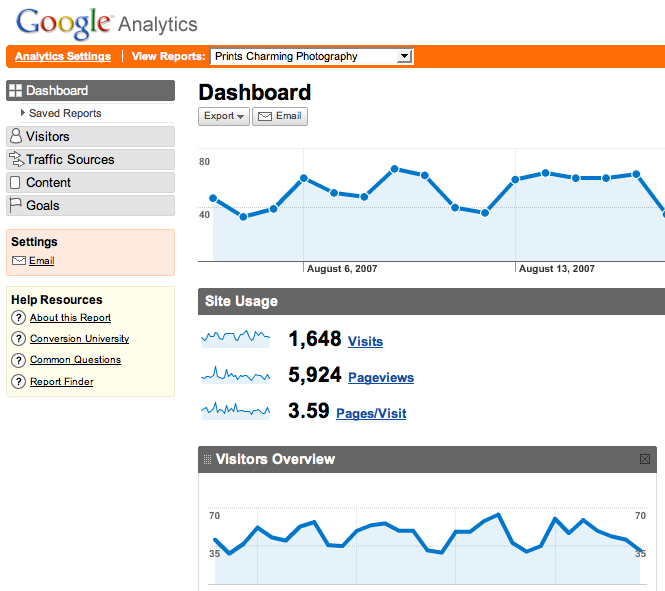 Google’s Analytics program is just amazing and it emails reports to me every Monday on all of our sites. I was just amazed today to see all of the countries our visitors are from! Okay, so I’m sure that’s not a very big list of most big websites or for you well-known photographers out there, but it was really encouraging to me! Next step: let’s book destination weddings in each of those countries. Well, maybe not India. India isn’t on my list of countries to visit right now. Seriously, though, all of our equipment is easily portable for destination weddings, so if you’re planning one, keep us in mind. After the wedding, it’s a lot easier to work with a local photographer (Prints Charming Photography) than it is to work with someone from out of state/country. Just this week we booked our first destination wedding — Seaside, Florida next June — and we’re super-excited! Can’t wait to have great destination wedding pictures in our galleries. Thinking about getting married out of state or out of the country? Talk to us about the many benefits of our wedding photography services! Along those lines, keep us in mind for proposal photography (incognito engagement pictures) for when you decide to take a knee and ask her to marry you! There’s nothing to compare with having pictures of that special moment. And just a few weeks ago I met a jeweler who can save you a ton of money on custom jewelry (i.e. diamonds, engagement rings, wedding bands and custom rings). I’d be happy to put you in touch with him if you’re in the market for the best prices on custom jewelry. Just let us know!